2. Who is the person singing this song? 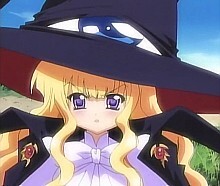 3. Who has voiced the character on the picture? 4. Whose evil laugh is this? 5. Who is the singer of this song? 6. Who has voiced Ruffi in the One Piece OAV? 7. Who is the seiyuu on the picture? 8. Whose voice can you hear in this monolog? 9. Listen to this, you're going to hear the voices of Rie Kugimiya, Akiko Yajima and Ryo Hirohashi. But in which order? 10. Who is performing this song? Note: The first Quiz can still be accessed by clicking here. And never forget to allow popups or you won't see your score.